Sometimes you don’t really need a heavy duty 70′ long truck scale, but you do need a smaller scale to weigh small trucks or vans. Look at the features that make this light weight vehicle / airport scale the best value on the market today. 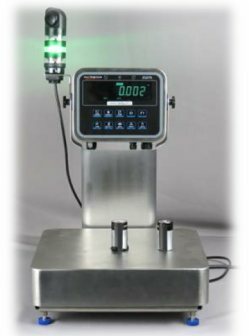 The Cambridge Model 770 Series Light Vehicle / Airport Scales are available in a wide range of sizes and capacities in order to meet your specific requirements. This versatile scale can weigh air cargo trams and containers and also light capacity vehicles. Best of all the scale now has NTEP approved sizes available. What makes the 770 scale a good choice? See below. The Model 770 will be delivered by LTL Common Carrier which eliminates the need for expensive flatbed carriers and special wide load permits. This alone can save a lot of money! The Model 770 can be unloaded and installed entirely with a standard forklift. No need for expensive cranes to be brought on site. Once again, this saves you even more money! The Model 770 vehicle scale can be installed on an existing concrete or blacktop surface. No need for expensive site preparation and concrete work. Once more you save huge amounts of money doing it this way. The model 770 utilizes Cambridge Scale’s exclusive drop-in-place modules that come to the site pre-wired from the factory. No need to spend time pulling load cell cables and wiring them into a “J” box. This will save lots of labor. Installation is a snap in several hours even on uneven surfaces. Cambridge’s exclusive deck levelers eliminate the need for shimming and grouting. The 770 vehicle scale is now available in NTEP sizes up to 10’ x 24’ with a 60,000 pound capacity. 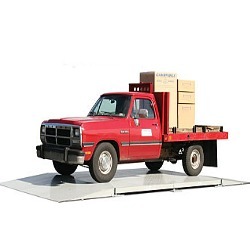 Depending on your particular application, this vehicle scale could be a really good choice for your weighing needs. Contact our sales team (919) 776-7737 to discuss the application or complete our online Request for Quote.